There are plenty of thoughtful last-minute green Christmas gifts for everyone on your list! So whether you haven’t been able find that special something for your sister, neighbour, or even your friends, here are some gift ideas that are earth friendly and people friendly. Always well recieved are these gorgeous Christmas tree decorations. 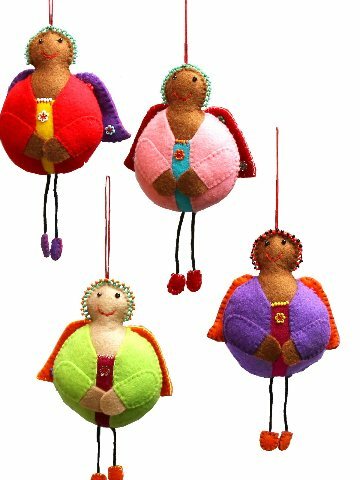 These beautiful handmade felt angel decorations, with detailed beadwork patterns, have been sewn by hand by Zulu women in remote areas of South Africa. 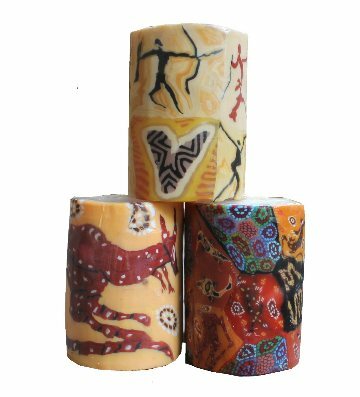 If you are looking for an unusual Christmas present for someone special look no further than these striking bangles produced by Australian Indigenous Artists . 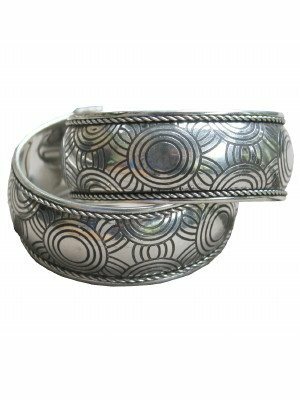 Aboriginal artists have used symbolism from their own individual Dreaming path including single and concentric circles, animal tracks and straight and curved lines to decorate the jewellery. Recycled gifts are always well recieved by those who are environmentally aware. Not only are these recycled bicycle tyre wallets ecofriendly they are locally made. 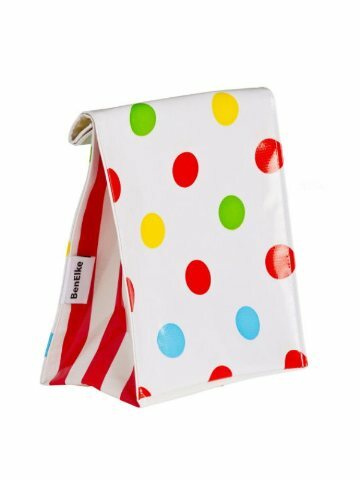 Perfect for reducing waste these gorgeous oil-cloth lunch-bags are the coolest way to pack a litterless lunch. Available in a range of designs that suit adults as well as children they are a great gift idea and wull be used again and again. 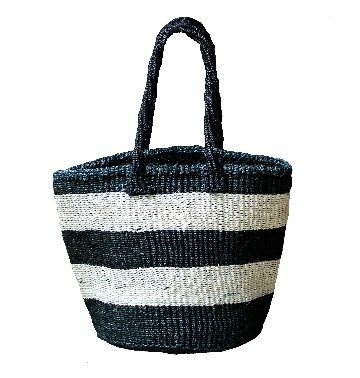 These handwoven, fairtrade sisal bags have been skillfully made by weavers in Kenya. 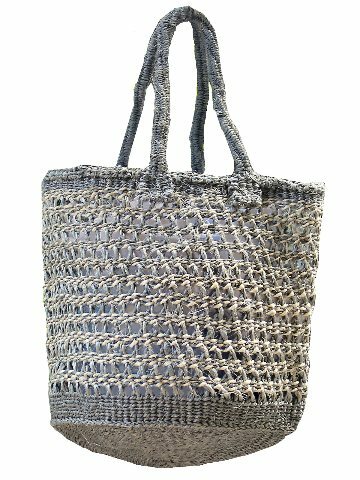 Sisal fibre is incredibly tough, so this natural woven bag will last for ages . 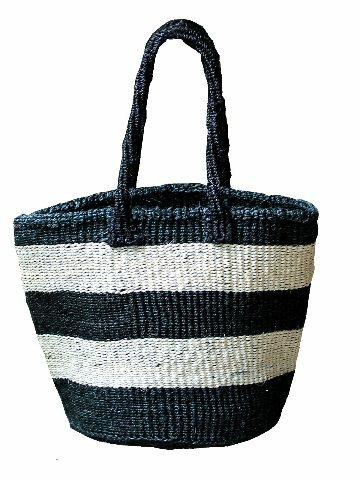 These hand woven totes are the perfect carry all , not too large, they are sturdy and stylish all in one. Ethical Christmas gifts for children can be hard to find. 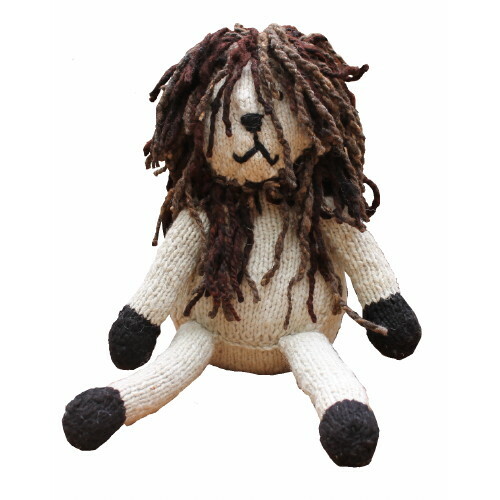 These hand knitted, pure wool, soft toys from Kenya would delight any child. 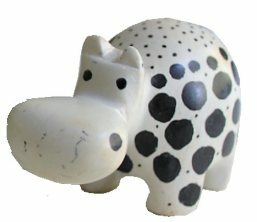 Each adorable toy is unique and full of character and sure to become a favourite bedtime friend. 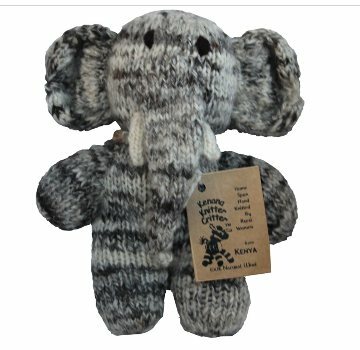 They even have the name of the woman who knitted the elephant on the label. Candles are a terrific last minute gift idea. 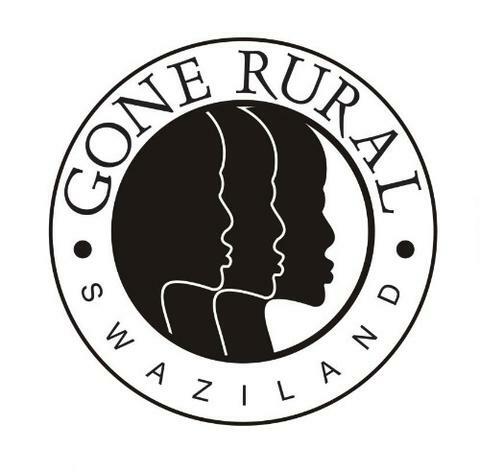 These Swazi Candles are have been designed on the artwork by renown Noosa artist "Noongali". 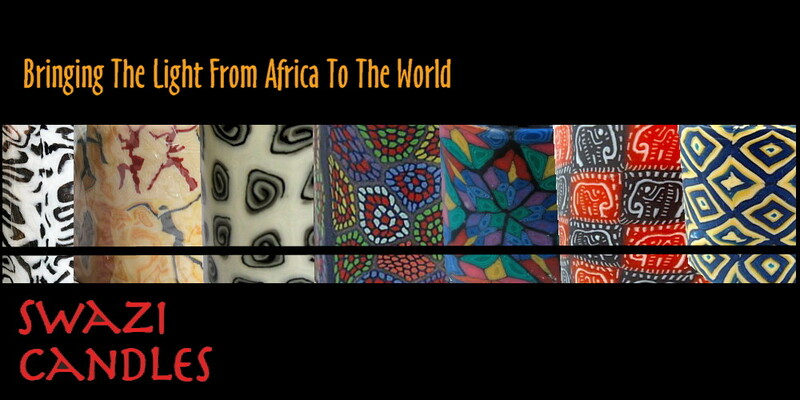 The unique African candles are handmade in Swaziland, using the age old technique of "millefiore". 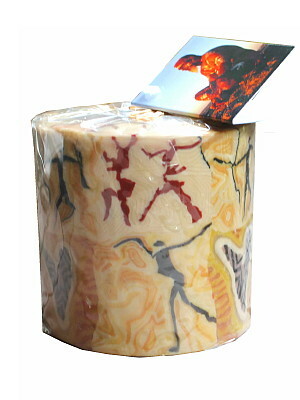 The hard outer wax veneer forms an outer shell of the candle, which does not melt when the candle is lit. The flame from the soft inner core spreads the light throughout the entire candle bringing the pattern to life as soon as the candle is lit. Eco Gift Finder: Its easy to find Eco gifts with Ethical Gifts. 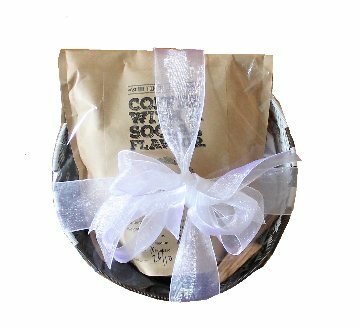 If you are looking for a Green Christmas present, a birthday present, or just a treat for yourself, an eco friendly gift is always special. Here are a few sustainable gift ideas. 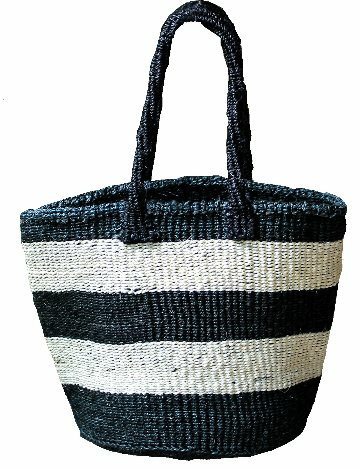 Fairtrade, ecofriendly or upcycled gifts to give. 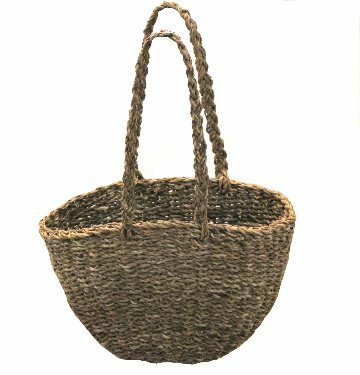 A sturdy and stylish market basket which is made from the fibrous leaves of the sustainable holga tree. 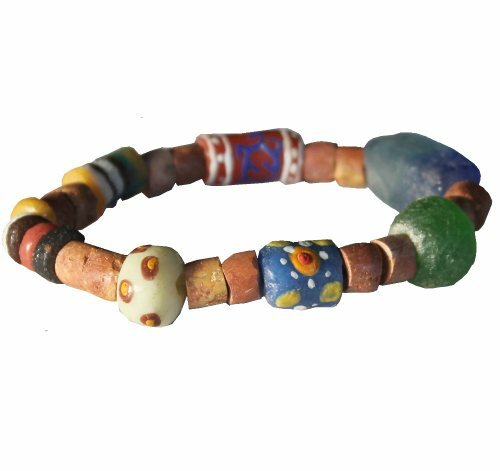 Each hand painted recycled bead on this eco bracelet represents facets of our world: earth, oceans, rainforests, atmosphere, wildlife, people and peace. 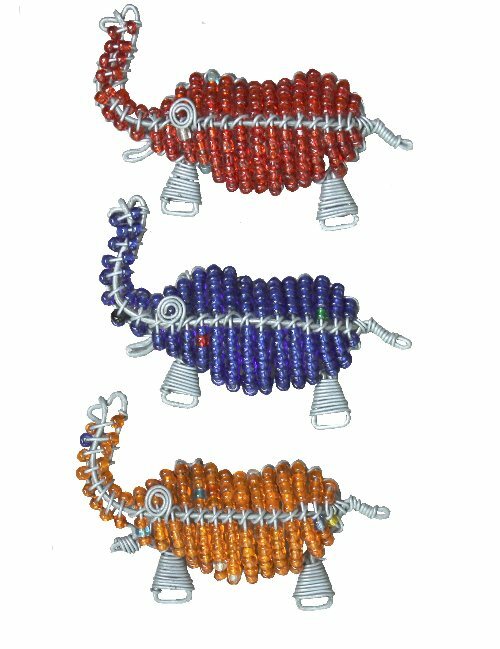 Each delightful little beaded elephant magnet from South Africa has been painstakingly handcrafted. A delightfuly quirky addition to any gift. 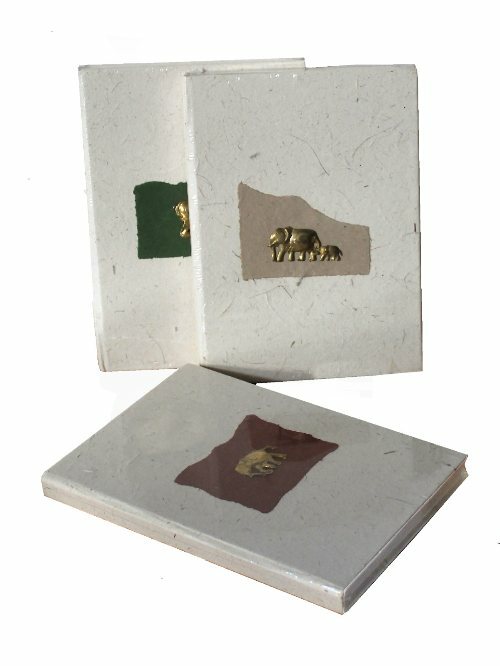 These lovely elephant dung paper notebooks are a wonderful practical gift. Perfect for use as a journal or simply as an everyday notebook. Recycled Home Ware With a Wow Factor!! Individually handmade in South Africa, each breathtaking cushion cover is hand embroidered with wool on recycled corn bags. The range is inspired by the bright colours of the vibrant culture of the women in this project. Each cushion is backed on blue or yellow cotton and has hand beaded edges. 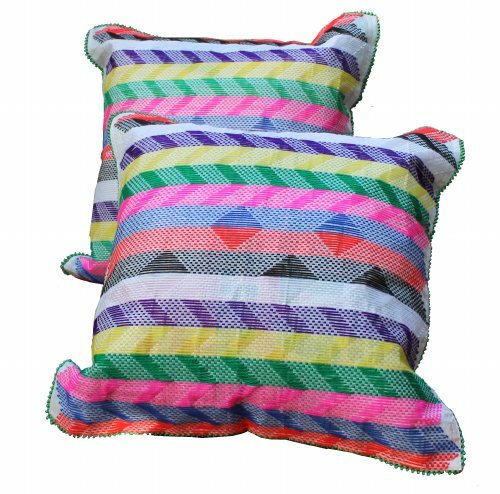 These stunning cushions help women and youths to earn a decent living, make their voices heard, learn usable skills and improve their overall quality of life. 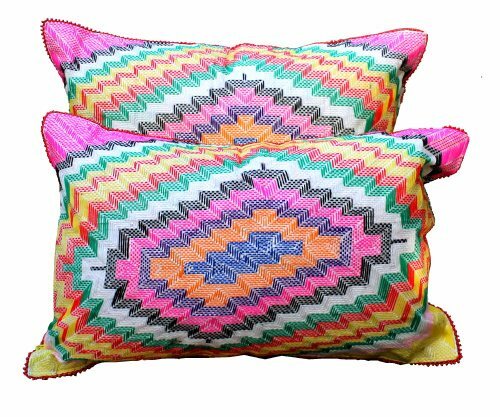 Every detail of these cushions embodies fair trade, recycling and community empowerment. We love them, and we know you will too! These unique gift ideas are cleverly designed and made using recycled materials. 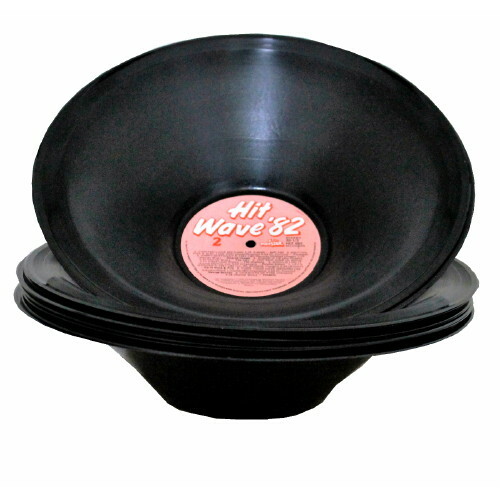 A new spin on recycling, using discarded records and recreating them into these unbelievable bowls. Made from vintage vinyl LP records these bowls are a perfect upbeat contemporary decoration. 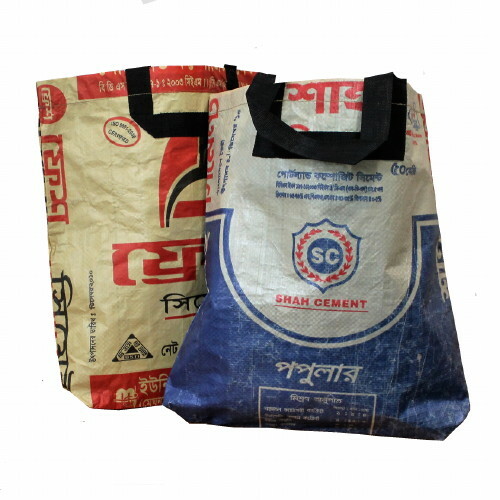 These extremely robust yet lightweight eco bags are produced from recycled materials by an organisation in Bangladesh, under fair working conditions. This ecofriendly bag is fully lined, waterproof and tough enough to carry heavy shopping. 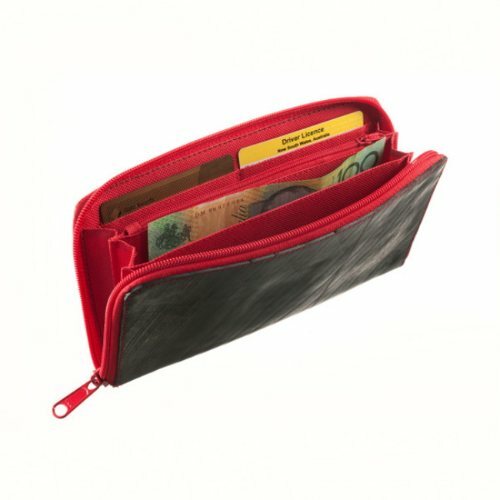 A colourful slim recycled tyre tube wallet with plenty of style and functionality. 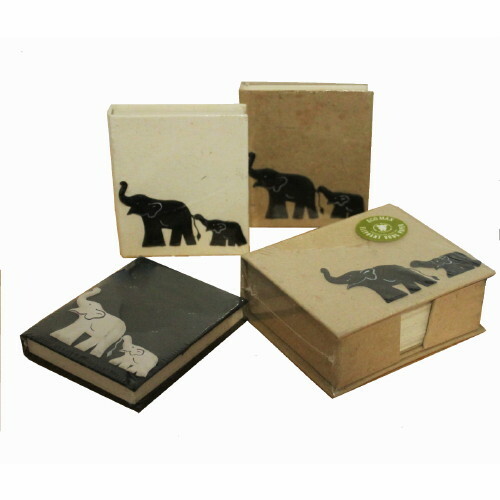 Using 100% recycled paper which is made from 75% elephant dung and 25% office waste these recycled paper note holders and journals are an ideal gift for someone who likes things that are a bit different! 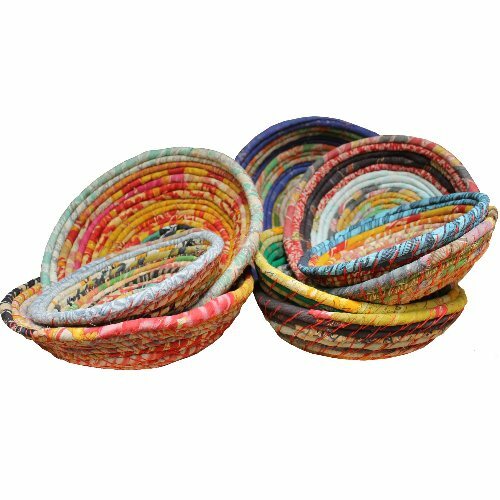 If you love the retro look you'll love these multicoloured recycled sari bowls. Every bowl is unique depending on the recycled cotton saris that are used. 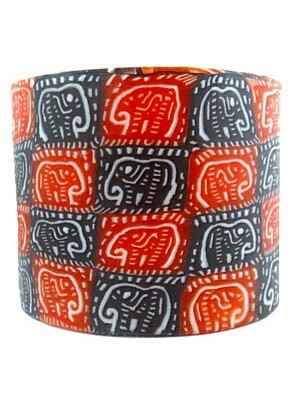 Delightful as a decor piece for the bedroom, office or study. With such striking designs and colours combined with the intricacy, accuracy and skill this craft takes these Zulu baskets never fail to impress . Each telephone wire basket is a unique, exquisite art piece. 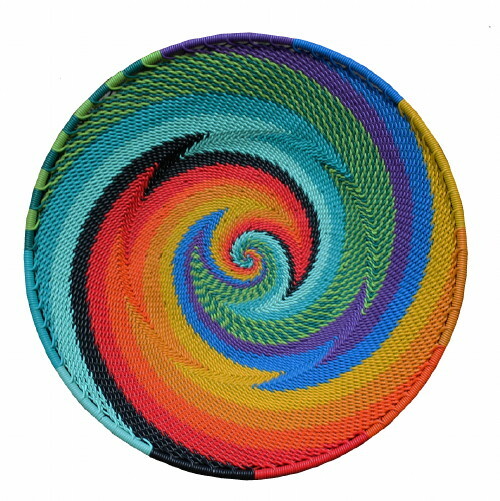 Telephone wire basket weaving is an indigenous South African craft which has evolved from the extraordinary basket weaving skills of the Zulus. Using telephone wire to weave with was first started by night-watchmen who to allay the boredom of the long nights . "Beginning in the late 1960's, Zulu night watchmen started weaving scraps of this wire around their traditional sticks. 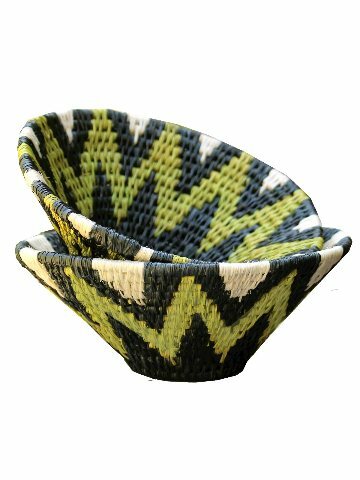 This new material was also applied to making izimbenge - beer pot covers - that had been traditionally made from grass and palm. 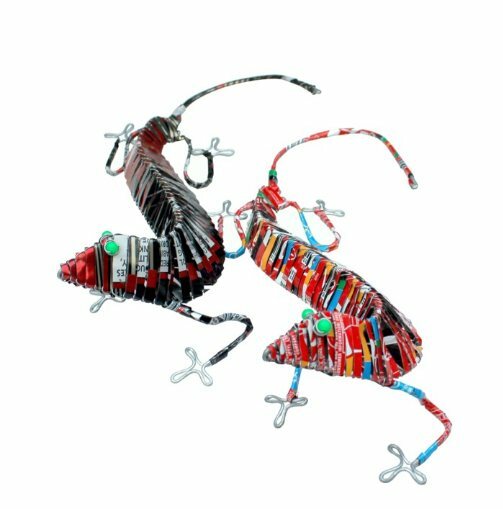 Today, there is wide variety in the creative use of this wire, and, in post-Apartheid South Africa, Zulu craft artists are imbuing old forms with the colourful contemporary material of telecommunications. The result is a vibrant, distinctive new folk form gaining international attention." 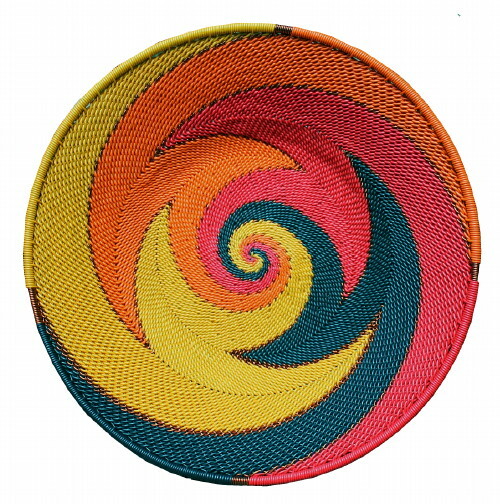 These telephone wire baskets were woven in the subsistence farming area of KwaZulu-Natal province in South Africa . 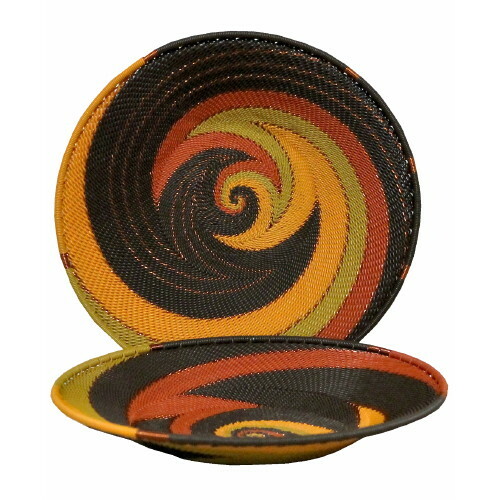 No two Zulu baskets will be identical as each artisan draws on their own creativity to produce unique designs and patterns. 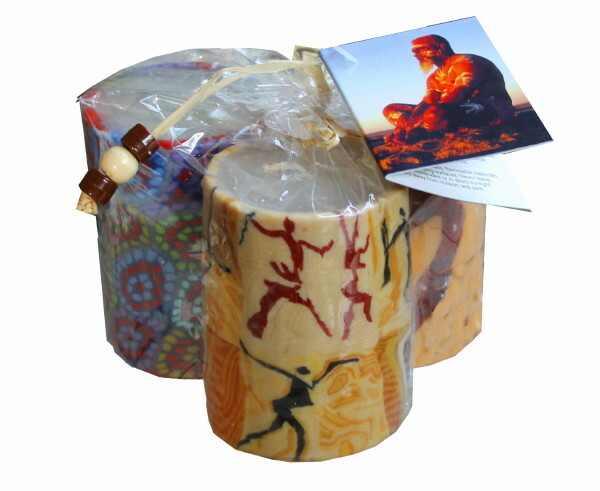 Swazi Candles are handcrafted and hand-finished by local artisans, making each candle a unique work of art. 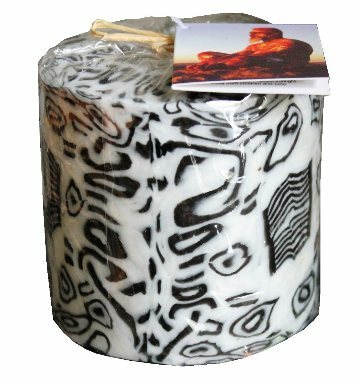 Inspired by the landscape and animals of Africa, Swazi Candles incorporate these images and patterns and a wide range of beautiful geometric patterns that look superb as accent pieces in your home. 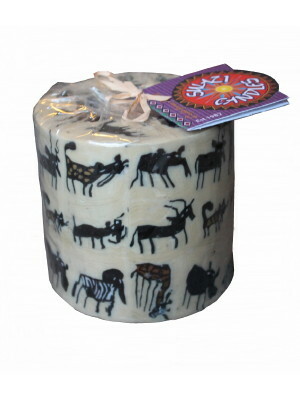 Most Swazi Candles are reusable and can be used as stylish candle-holders after the initial candle burns down. The candles have a hard outer wax shell which hardly melts when the candle is lit resulting in a magical glow as the inner wax burns leaving the outer wax intact. Candles can be reused as the outside shell of the candles remains beautifully intact, simply insert a t-light candle into the shell. 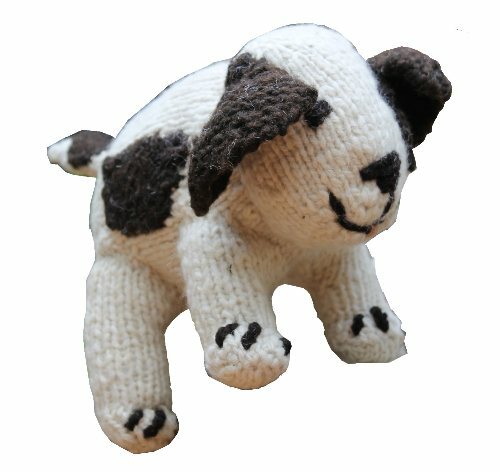 In Kenana Knitters the women hand spin locally bought sheep fleece into wool, which is then used to make soft toys. The company provides everything they need to knit these products, which it then buys off them. 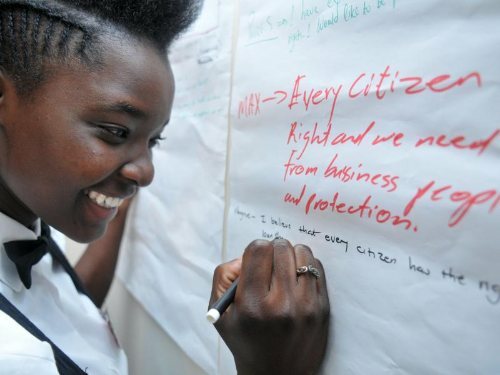 In addition to a respectable income Kenana Knitters also gives the women access to facilities such as HIV health clinics, adult literacy and IT classes. 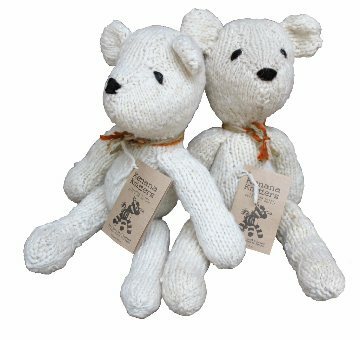 Cute, cuddly, handmade and charitable. The perfect gift.